Showing recent results 3556 - 3570 of 4490 products found. The SHF Bit Pattern Generator (BPG) and Error Analyzer (EA) modules are units which can be used to form a complete 40G BERT (OC-768 BERT) or multi-channel 10G BERT (OC-192 BERT). 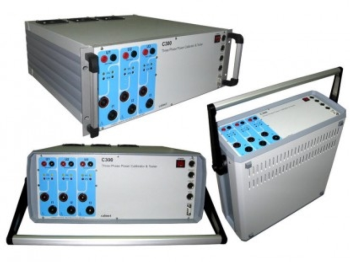 They work broadband from 1.5 to 56 Gbps and in conjunction with our test and measurement modules, a system for producing and analyzing optical signals can be put together. It's a future-proof system which supports 100 Gigabit Ethernet developments based on multiple channel 25 GBps (28/32 Gbps) and 50 Gbps (56 Gbps) in addition to the standard 40 Gbps (43 Gbps). The setup and control is very easy, even though it's flexible and offers sophisticated features at the same time. 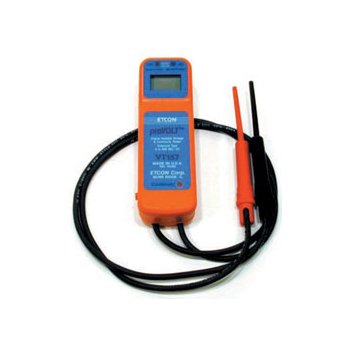 The FT6380 measures grounding resistance simply by clamping to multiple-grounded ground wires. No auxiliary grounding rod is needed, and there is no need to disconnect the ground wire from the grounding rod. 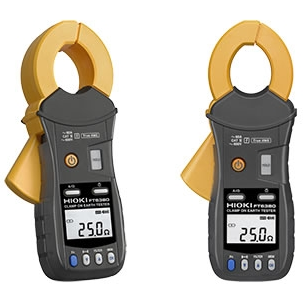 The compact, low-profile sensor can be used to clamp ground wires with ease, and also provide AC current measurement functionality and can measure currents ranging from leakage current on the order of several mA to load currents of up to 60 A.
CS1000 Cable Scanner The CS1000 is a price/performance breakthrough in the cable maintenance, signal testing market. It tests ten different types of cable ends. Each cable being tested has its pinout scanned for continuity as well as proper polarity. 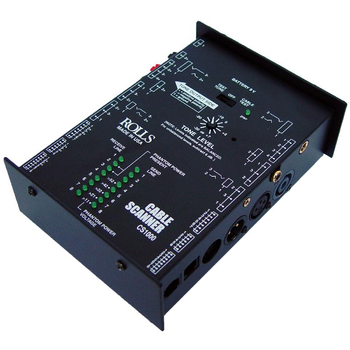 Plus, the unit features a 1 kHz Test Tone oscillator with a calibrated variable level control. 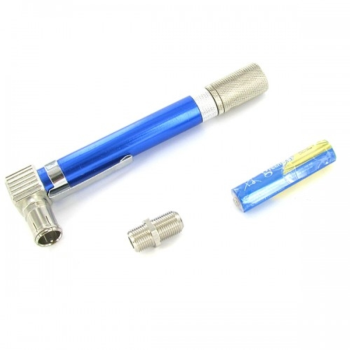 Check oil pressure in automotive transmissions and engines.Adapters provide coverage of most domestic and imported cars and light trucks.Includes two gages: Large Gage calibrated from 1-600 PSI (0-4,000 kPa & 0-7.0 BAR) and Small Gage for lower pressure requirement 0-50 PSI (0-3.5 BAR)Large gage can be used for all applications and has hang-up hook. 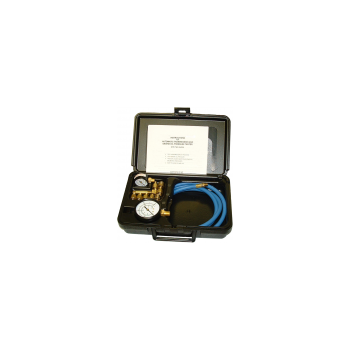 Small gage is for more accurate reading of engine oil pressure where maximum oil pressure does not exceed 50 PSI (3.5 BAR).Includes 6 feet of oil proof hose and 10 assorted fittings. Check oil pressure in automotive transmissions and engines. 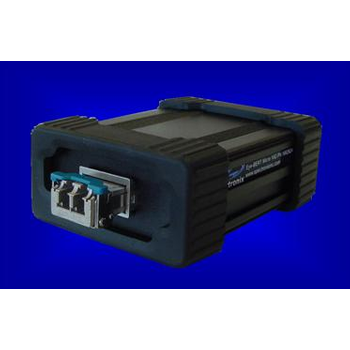 Adapters provide coverage of most domestic and imported cars and light trucks. Includes two gages: Large Gage calibrated from 1-600 PSI (0-4,000 kPa & 0-7.0 BAR) and Small Gage for lower pressure requirement 0-50 PSI (0-3.5 BAR) Large gage can be used for all applications and has hang-up hook. Small gage is for more accurate reading of engine oil pressure where maximum oil pressure does not exceed 50 PSI (3.5 BAR). Includes 6 feet of oil proof hose and 10 assorted fittings. Supplied with instructions in a molded plastic case. CAMI Research Inc. (Acton, MA) announces another new board for its CableEye cable and harness testing systems. Populated with solder pads to accept both aligned and staggered, 1.25mm and 1.5mm pitch, surface mount and through hole (TH) connectors, the board addresses any market with a demand for board-to-board connections. Rated to 700Vdc/500Vac, the CB51 may be used on all CableEye models. 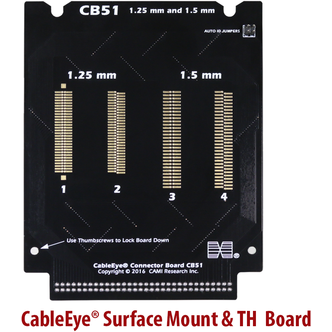 The CB51, sold without connectors, contains four sets of 60 solder pads accommodating numerous configurations of surface mount and TH connectors aligned or staggered pins at 1.25mmm and 1.5mm pitch. There are four preset locations for automatic detection & display of any-pin-count connector up to 60-pins. Yet, any single set may be fitted with any combination of lower pin count connectors that total to 60 or less (e.g. a 40-pin with a 10-pin). Connectors soldered in non-preset positions will also appear graphically correct once they are mapped with PinMap (optional software). The Eye-BERT is a low cost, versatile, all-in-one fiber optic test solution capable of performing both optical and electrical bit error rate testing as well as serving as a digital E/O and O/E converter. CAMI Research Inc. (Acton, MA) announces another new board for its CableEye cable and harness testing systems. 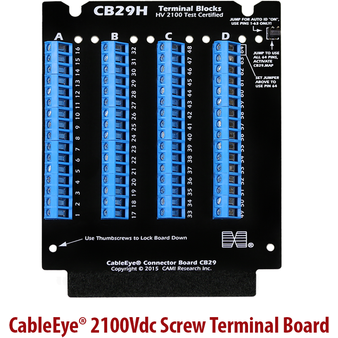 Populated with four 16-pole screw terminal blocks, the board addresses high voltage (HiPot) testing to 2100Vdc/1200Vac. Of particular interest to the harness testing market, the CB29H is also available as a transition board variant (CB29AH). The CB29H and CB29AH boards are high voltage versions of the CB29 with the high voltage traces running on inner layers to afford additional safety, and protection from contamination. Each contains four 16-pole screw terminal blocks that will accept bare wires from 12- to 30-gauge in size. The metal jaws firmly grip an inserted wire without damaging or distorting the end, and the space between each terminal block may be used as a wire channel to guide wires neatly to the side. For each channel, a pair of holes is provided through which wire ties may be inserted to hold the wire bundles in place. PHCT55 - Pyle Audio Inc. 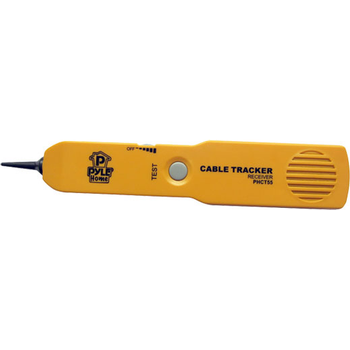 The PHCT55 is a two-piece item that tests telephone wire continuity. Play a test tone on one end and listen on the other, judge continuity, and diagnose break points. Three phase, class 0.02 and 0.05 power quality calibrator up to 120A (360A) and 560VAC with programmable power quality parameters. It makes possible to make automatic test of electricity meters, measurement transducers, current transformers and protection relays. 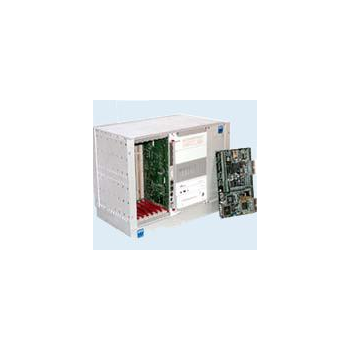 CPCI Based BTA is used to test ECM System Processor (80386 & 8051) Boards. This system consists of a Single Board Computer (SBC), CPCI RS422 Communication and Bus Interface Board (CBI), CPCI Digital Input & Output (DIO) Board and CPCI Analog Input & Output (AIO) Board to provide the necessary input/output signals to/from the board to be tested. Digital display 10 to 600 VAC/DC 2% accuracy. Solenoid vibration voltage indication. Audible tone for continuity and voltage. Replaceable leads with retractable shrouds. 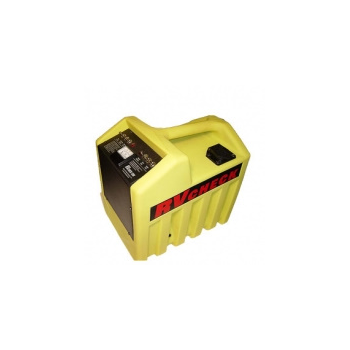 Batteries energize continuity buzzer only, for safe voltage testing. Miniature size. RVCHECK - Square Wheel Industries, Inc. The RVCHECK is a fast, easy, low-cost way to test RV lighting and electric braking systems. In addition to powering an RV trailer's lighting circuits for easy checking, your RVCHECK measures the current draw of the electric brake coils, and checks the break-away battery circuit. Load Tests 6 and 12 volt sealed lead acid, NiCad, Li-Ion, and NiMH batteries. 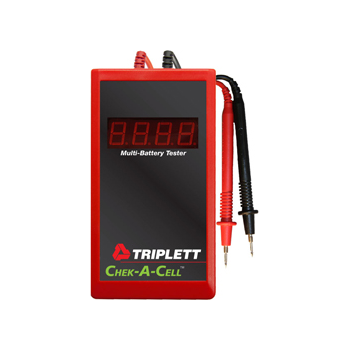 Works for batteries from 1 to 10 Amp Hours. Measures within 0.01 volts. Economical and Easy to Use. Polarity Reversal Indication and Protection. Powered by battery being tested. Large, bright LED display (0.56″). 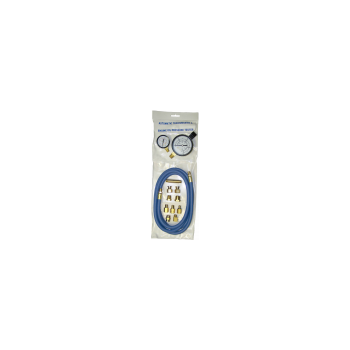 Ohmmeter Voltage Mode detects either polarity voltage including AC. Padded Cordura Carrying Case Included. Selectable DC Amps Polarity. 1 year warranty.